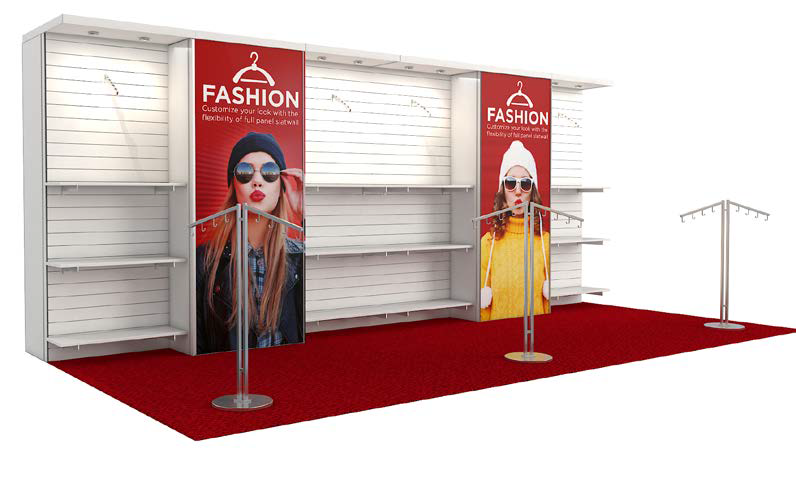 If apparel is your business, this is your booth — and in this larger version, there’s plenty of room for staff to engage. Two panels present your name, brand images, and key messages. Adjustable shelves and hanging racks, including a freestanding rack, let attendees browse through your goods without feeling congested in your space.